Authors: Osipiuk, J., Walsh, M.A., Freeman, B.C., Morimoto, R.I., Joachimiak, A. 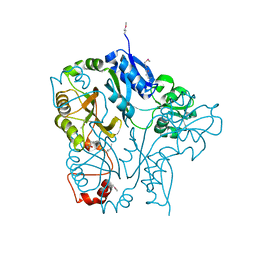 Cite: Structure of a new crystal form of human Hsp70 ATPase domain. 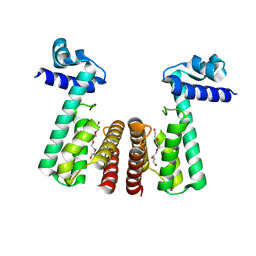 Cite: X-ray structure of PAS domain of nitrogen regulation protein NR(II) from Vibrio parahaemolyticus. 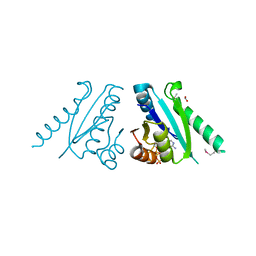 Cite: X-ray crystal structure of nitrilotriacetate monooxygenase component B from Bacillus cereus. 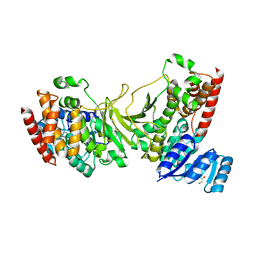 Cite: X-ray crystal structure of homoserine dehydrogenase from Thermoplasma volcanium. 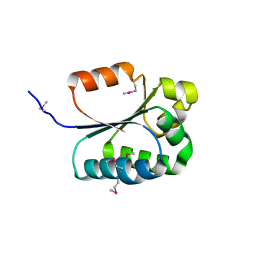 CYCLIC NUCLEOTIDE BINDING REGULATORY PROTEIN FROM CYTOPHAGA HUTCHINSONII. 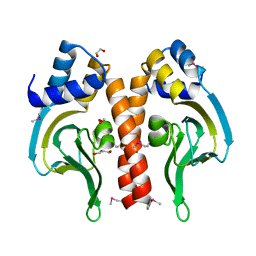 Cite: X-ray crystal structure of cyclic nucleotide binding regulatory protein from Cytophaga hutchinsonii. 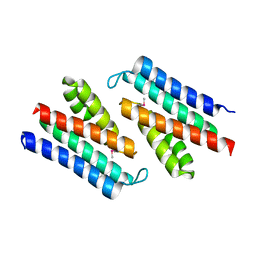 N-ACETYLGLUCOSAMINE-6-PHOSPHATE DEACETYLASE FROM VIBRIO CHOLERAE. 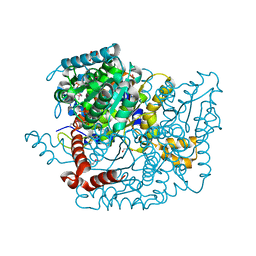 Cite: X-ray crystal structure of N-acetylglucosamine-6-phosphate deacetylase from Vibrio cholerae. 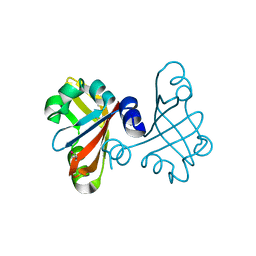 ARSENATE REDUCTASE FROM VIBRIO CHOLERAE. 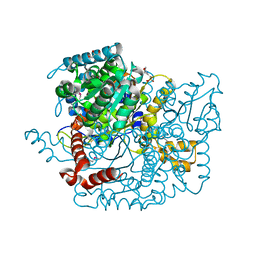 Cite: X-ray crystal structure of Arsenate reductase from Vibrio cholerae. 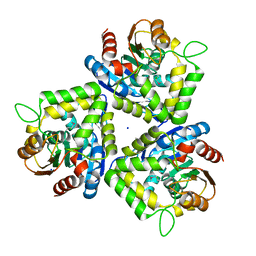 PUTATIVE FILAMENT PROTEIN / UNIVERSAL STRESS PROTEIN F FROM KLEBSIELLA PNEUMONIAE. Cite: X-ray crystal structure of putative filament protein / universal stress protein F from Klebsiella pneumoniae. 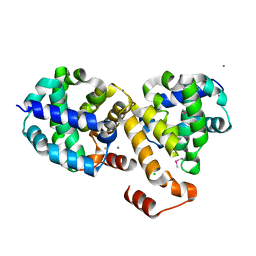 Cite: X-ray crystal structure of bromoperoxidase from Bacillus anthracis. 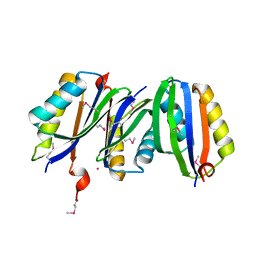 Cite: X-ray crystal structure of dihydrodipicolinate synthase from Salmonella typhimurium LT2. 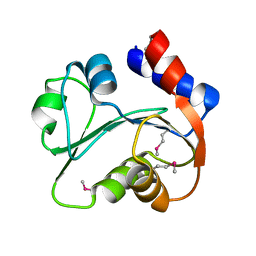 Cite: X-ray crystal structure of serine hydroxymethyltransferase from Salmonella typhimurium. 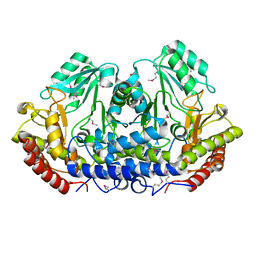 N-TERMINAL DOMAIN OF XAA-PRO DIPEPTIDASE FROM LACTOBACILLUS BREVIS. 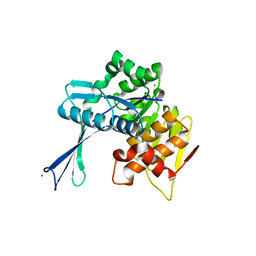 Cite: X-ray crystal structure of N-terminal domain of Xaa-Pro dipeptidase from Lactobacillus brevis. 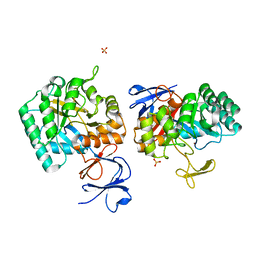 1-DEOXY-D-XYLULOSE 5-PHOSPHATE REDUCTOISOMERASE FROM YERSINIA PESTIS. 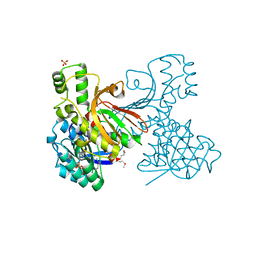 Cite: X-ray crystal structure of 1-deoxy-D-xylulose 5-phosphate reductoisomerase from Yersinia pestis. 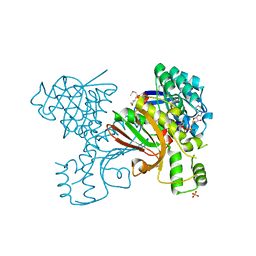 Cite: X-ray crystal structure of N-acetylglucosamine-6-phosphate deacetylase from Vibrio cholerae complexed with fructose 6-phosphate. METHYLENETETRAHYDROFOLATE DEHYDROGENASE/METHENYLTETRAHYDROFOLATE CYCLOHYDROLASE, PUTATIVE BIFUNCTIONAL PROTEIN FOLD FROM FRANCISELLA TULARENSIS. 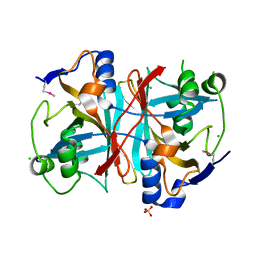 Cite: X-ray crystal structure of methylenetetrahydrofolate dehydrogenase/methenyltetrahydrofolate cyclohydrolase, putative bifunctional protein folD from Francisella tularensis. 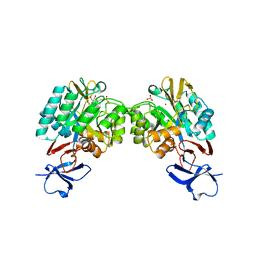 Cite: X-ray crystal structure of glucose-6-phosphate isomerase from Francisella tularensis. 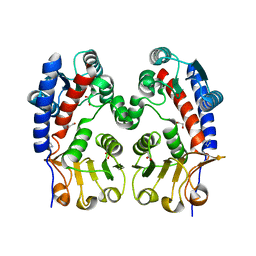 Cite: X-ray crystal structure of putative chorismate mutase from Bifidobacterium adolescentis. 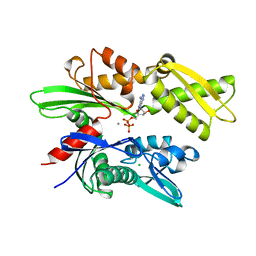 GLUCOSE-6-PHOSPHATE ISOMERASE FROM FRANCISELLA TULARENSIS COMPLEXED WITH FRUCTOSE-6-PHOSPHATE. 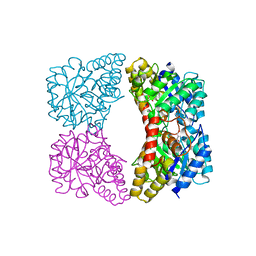 Cite: X-ray crystal structure of glucose-6-phosphate isomerase from Francisella tularensis complexed with fructose-6-phosphate. 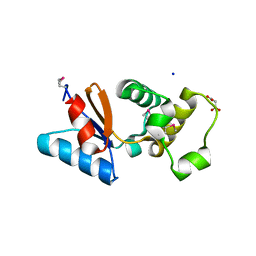 Cite: X-ray crystal structure of Dfer_2879 protein of unknown function from Dyadobacter fermentans.